FTTH installed accesses have increased in Spain by more than 50% to 22.6 million, according to latest statistical data on fixed broadband services and deployment of new generation networks (NGA) with geographical detail based on data from December 2015. 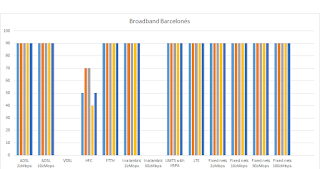 In turn, there has been a notable gain in Barcelona regarding broadband access, according to the National Commission of Markets and Competition. 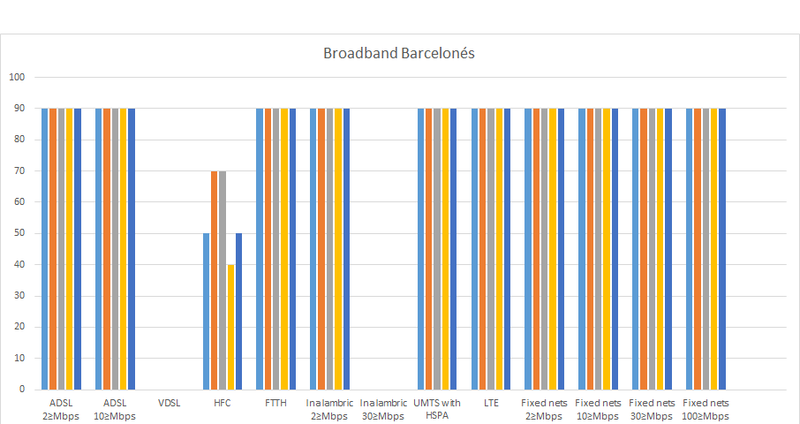 Focusing on the Barcelonés region, Barcelona was the first capital to acquire the FTTH. Afterwards, it joined the Badalona plan due to the project that the Jazztel company deployed, which subsequently proposed to install the FTTH in the other towns of this region (Santa Coloma de Gramanet, Hospitalet de Llobregat and Sant Adrià del Besòs). 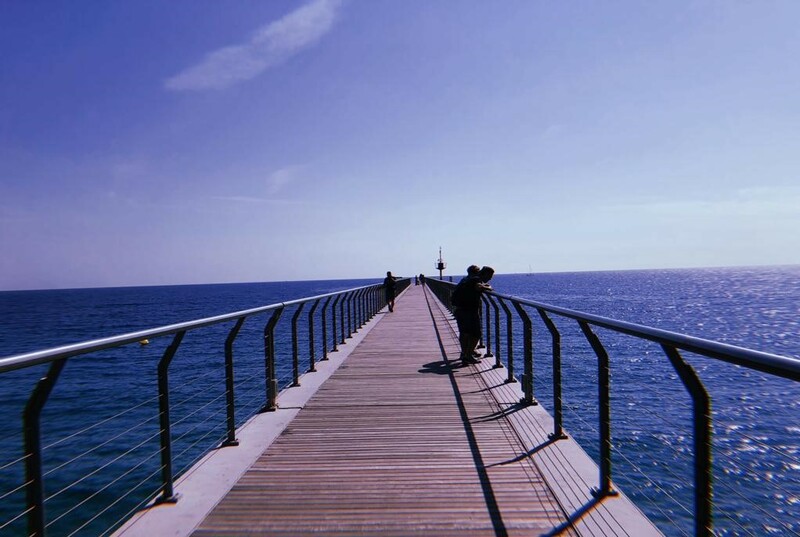 It should be noted that Badalona is a maritime zone and one of the most industrialized and populated areas of Barcelona, dedicated to industry, services and tourism. In November 2013, the telecommunications service provider Jazztel announced the investment of 14 million euros to Badalona to bring the FFTH technology to more than 52,000 homes. 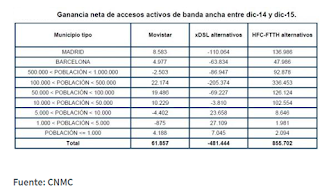 This idea gave citizens the opportunity not to be forced to contract the Jazztel service, as Telefónica already had. This project promised to turn Badalona into the city with the most fiber optic penetration in the state and estimated that between 70% and 80% (52,000 homes, approximately) of the homes would have this technology in February 2014 (taking about four months in carrying out the proposal). The CEO of Jazztel, José Miguel García, justified this commitment of the company through the "opportunity to create good business in the area and the great potential of Catalonia when making investments, becoming a priority." At that time, Badalona was in the main focus of a state-level project because of its great use of broadband. According to the CEO of the company, the Catalan index exceeded the Spanish average (72% penetration) and also the European average (75% penetration). 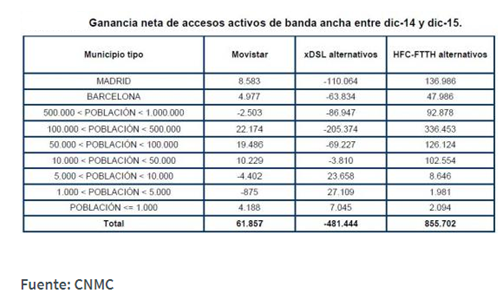 Linking these data that Jazztel has a high percentage of customers in Catalonia, as an argument in favor of this autonomous community. The second phase of this project consisted in the installation of Wi-Fi in three points of the city, managed directly from the town hall: one in Plaça de la Vila, four in Plaça Trafalgar and three in Lloreda Park. The former mayor of Badalona, Xavier Garcia Albiol, said that "the project had to be accompanied by measures for the promotion of new technologies", subsequently distributing free Wi-Fi to other areas to avoid technological isolation. This fact was mainly focused on summer time, so as to attract more visitors. Another of the promises of this project was the creation of more than 300 jobs: "We will need people to collect permits in the communities, to make the facilities and to market our services," explained José Miguel García. In turn, a technical team was responsible for the subsequent maintenance of the optical fiber. In the official statement on the agreement, the FTTH is defined as "the best technological option for network deployment to face the expected future data traffic, since it offers greater bandwidth, symmetric speed and greater potential for the needs future". Adding to this the advantage of its installation, simple and without the realization of relevant works on the public road for its deployment. The infrastructure of this type of technologies much more durable and without requiring electricity to operate or emit any kind of electromagnetic radiation. Despite the great reception of the project, the main problem was originated in December 2013, specifically in the neighbourhood of Dalt la Vila. This district belongs to the most rural area and the historic centre of Badalona, in which the bad installation of cables and junction boxes caused great indignation among the neighbors. The wiring broke with the aesthetic principles of the neighborhood regulated by a regulation. Both the different governments and the inhabitants of Dalt la Vila follow these rules when it comes to painting their facades or carrying out any construction, a strategy that Jazztel interrupted with its arrival. The councillor of public roads, Daniel Gracia, assured that "it is the decision of the neighbours to renounce the fiber optics if they do not agree with the installation". That handicap came into the hands of PSC and ICV-EUiA and the opposition of the moment, which all called for the stoppage of the installation, like the other municipal groups. The Socialists denounced the lack of municipal control in the works carried out and the alteration of the historical heritage of the city. In turn, and shortly before this plan, the telephone company Adamo launched in July 2013 a revealing bet that did not cause as many doubts as Jazztel, although it was less known. Adamo deployed FTTH from 5% to 10% in Badalona, next to Sant Adrià del Besòs. This contract promised a faster connection, with 300 Mbps download and 100 Mbps upload. The deployment continued in 2015 with the arrival at the industrial zones. The optical fiber was able to reach all the companies located in the industrial estates in Granland, Guixeres and Montigalà, to be able to contract broadband connections of ultrafast Internet access. This project was developed throughout 2016 and allowed to connect to 1000 Mbps of fiber optic Internet. According to the 2017 studies of the Ministry of Industry and Commerce of Spain, advances in telecommunications within the Barcelonés region are fairly evenly distributed. Barcelona is the most populated city, with 1,608,746 inhabitants; it is followed by l'Hospitalet del Llobregat with 254,804; Badalona with 215,634; Santa Coloma de Gramanet with 117,153; and, finally, Sant Adrià del Besòs with 36,496. That said, and looking at the graph below, broadband is spread across the five cities in this county. Despite this, all areas suffer from the absence of 30 Mbps wireless networks and the VDSL (Very high-bit-rate Digital Subscriber Line) telecommunication. The latter transmits the impulses on the twisted pair cable of the conventional telephone line, a kind of evolution of what we know as ADSL. The VDSL technology uses two transmission channels for the download and two for the upload, increasing the transmission power. On the other hand, the most substantial differences are presented with respect to HFC (Hybrid Fiber-Coaxial), which incorporates optical fiber and coaxial cable, hybridizing the Internet service with the TV service. Finally, our article is drawn to a conclusion, relating everything explained with an anecdote that involves Badalona. 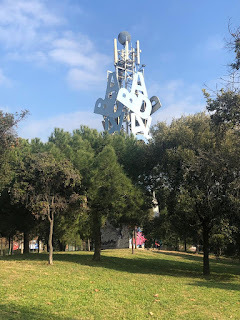 In the year 1987, the company Reactivació Badalona S.A.
a monument in honor of one of the most important Catalan poets of our literature, Joan Brossa. He loved the city and its charms and did not hesitate to dedicate some verses that would end up engraved, years later, in the current tower-antenna. The City Council of Badalona and the mobile phone company Airtel agreed that it would be installed in Montigalà. It consists of a concrete base as a support, metallic letters placed vertically and a top formed by a methacrylate sphere. In its interior are located the service and control installations of the lighting systems. In conclusion, Badalona is a city with very high levels of connectivity and advanced technologies, such as the FTTH. 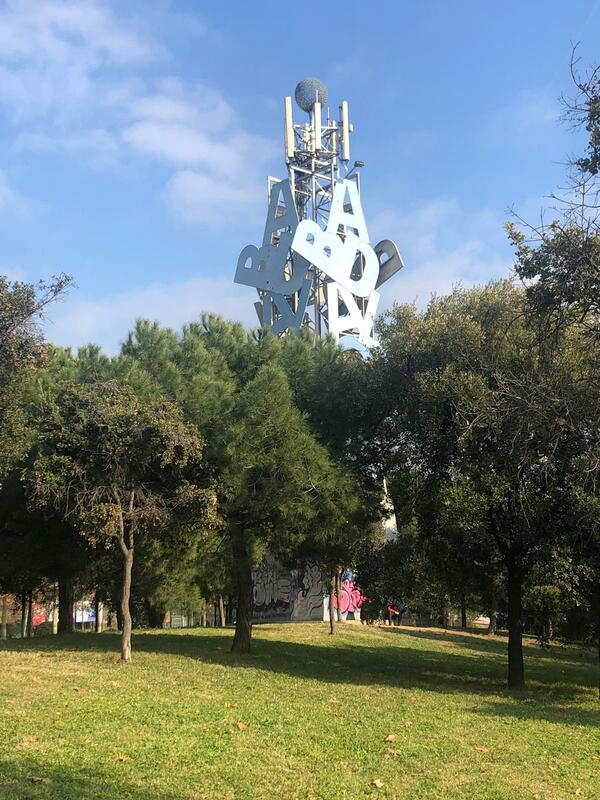 Due to its proximity to the city of Barcelona and the sea coast, it enjoys a broad band of great potential that allows access to the Internet in almost every home. We analyze broadband evolution (here, the Badalona case) in this blog, in Research Group about Digital Journalism and Marketing and Broadband and in Research Group on Innovative Monetization Systems of Digital Journalism, Marketing and Tourism (SIMPED), from CECABLE, Escola Universitària Mediterrani of UdG, UPF and Blanquerna-URL, in Twitter (@CECABLEresearch), Google+, in the group of LinkedIn, in the page of LinkedIn, in the group of Facebook, in Instagram (CECABLE), in Pinterest and in this blog. We will go in deep in the XXIV Cable and Broadband Catalonia Congress (9-10 April 2019, Barcelona). Interesante! Gracias a FTTH, ahora todo el mundo desde su propia casa puede navegar de manera muy rápida, y conseguir información ya sea profesional o personal en un instante. Lidia Rosales y Paula Julián. ¡Muchas gracias por vuestro comentario, Lidia y Paula! Moltes gràcies pel teu comentari, Enric!! Un article molt ben escrit Doctor, al mateix temps que un tema molt interessant! Felicitats! Moltes gràcies pel teu comentari, Àlex! Es un article que ens obre els ulls, sobre com porten el tema de la banda ampla en una ciutat que està al costat de Barcelona, és a dir, que necesita tenir quasi les mateixes prestacions. Molt bon article Joan Francesc! Molt bon article i d'un tema molt interessant, a més a més de la nostra ciutat!! Iveta Angelova i Aroa Pérez. Cal tenir present que la banda ampla ens permet obtenir molta informació de la que circula avui en dia, a la vegada que ens permet una gran i important connexió entre els diferents països d'arreu del món. Un article molt interessant Joan Francesc Fondevila! Moltes gràcies pel teu comentari, Xavier! I really like the perspective of the article.